Donald Trump’s stunning win of the U.S. Presidency on Tuesday night has sparked numerous articles speculating about the implications for various policies and issues. Given how little Trump said about digital policy, predictions about telecom or IP policy are little more than educated guesses. 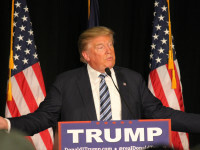 Trade policy was a major Trump issue, however, as his opposition to the Trans Pacific Partnership and vow to renegotiate NAFTA was repeated at virtually every campaign stop. Senate Majority Leader Mitch McConnell confirmed yesterday that the TPP would not be brought up for a vote this year, leaving Trump to decide on its future. Officials in other TPP countries such as Australia, New Zealand, and Malaysia have now acknowledged that the TPP is likely dead.